If you need to be able to put on and take off a holster quickly, without having to remove your belt, this IWB Quick Release Loops holster is a lot more stable, secure and comfortable than a paddle holster. The flat, low profile created by this design effectively conceals your gun. The holster will contour to the shape of your hip and will keep your gun close to your body making it very comfortable for extended, all day concealed carry, even with large guns. 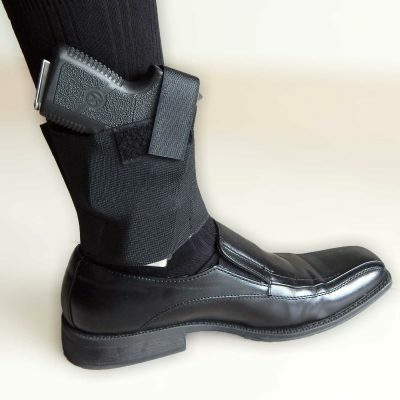 The IWB Quick Release Loops Holster goes inside your waistband and attaches to the belt with two loops positioned in front and behind the gun using secure locking snap fasteners. This set-up provides maximum stability and firm placement on your belt. Rides with a slight forward angle for a quick and smooth draw even while seated. Provides a full combat grip. 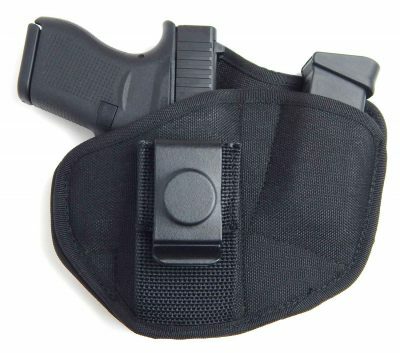 Notice: This holster is designed for maximum concealment, and is NOT intended for one-handed reholstering and should not be used for such applications. I like that it is loops over clips. Quality holster for my Glock. Comfortable and very solid. Good fit for me. 4 stars because i wish it had a little bit of a sweat guard. Overall conceals comfortably and feels secure.